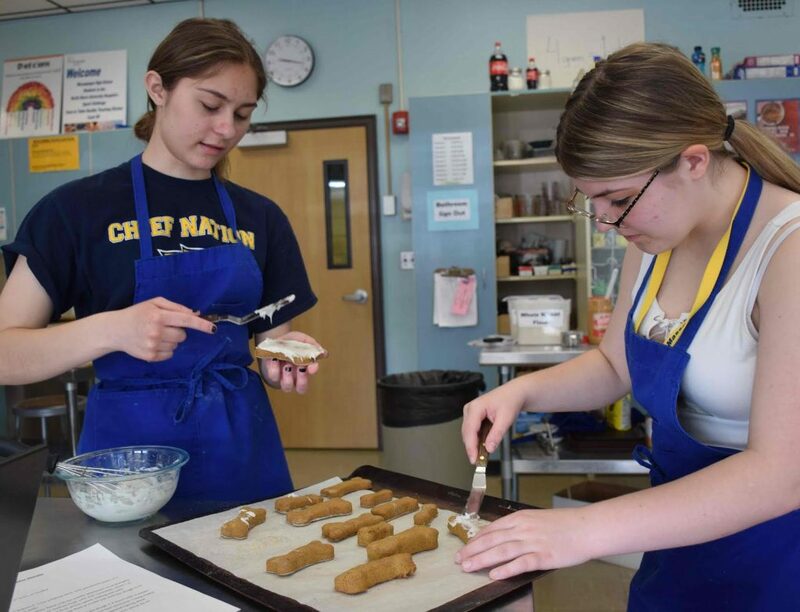 Massapequa High School’s Dog Rescue Club and culinary students recently joined forces to provide treats for dogs without a permanent home. 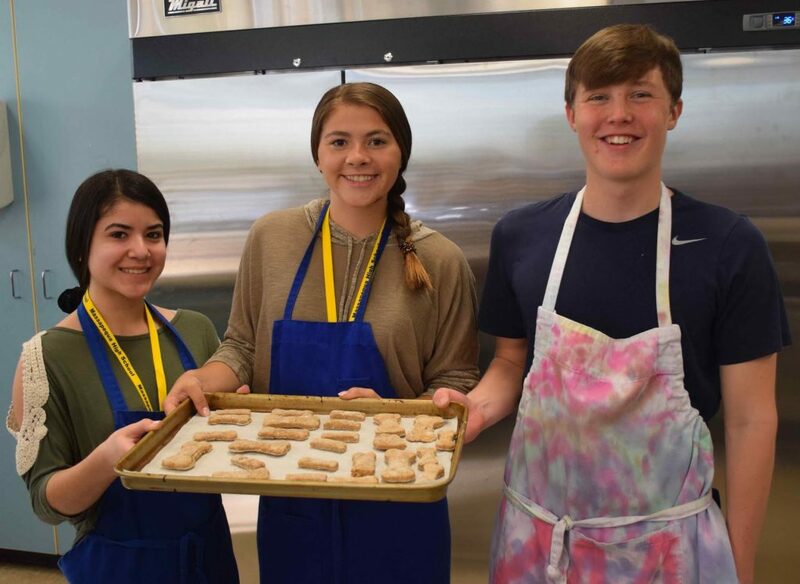 Students in Christina Sabbiondo’s creative foods classes made dog biscuits in three flavors — peanut butter, pumpkin and chicken — topped with a dog-friendly icing made from rice flour. The treats were then given to the Dog Rescue Club, under the direction of adviser Teresa Colgan, to be donated to Ruff House Rescue for canines at its shelter.